Waianapana Beach Park, a black sand beach outside of Hana. The sand is from black lava. East Maui conjures up images of lush waterfalls, dense tropical forests, rocky coastlines, and fields of taro. Luxury estates with private swimming pools rub shoulders with funky termite-eaten shacks, mail-order yurts and leaky waterproof tents. Winding dirt roads dotted with multiple mailboxes for the same street number lead to mysterious, gated narrow driveways. Secret waterfalls and not-so-secret mosquitoes abound. East Maui invites one to slow down. For tourists, one slows down to savor the journey and the spectacular sights on the Road to Hana, to stop for waterfalls, one-lane bridges, swimming holes, one-lane bridges, look-outs, one-lane bridges, hikes, one-lane bridges, smoothie stands, one-lane bridges, and banana bread. 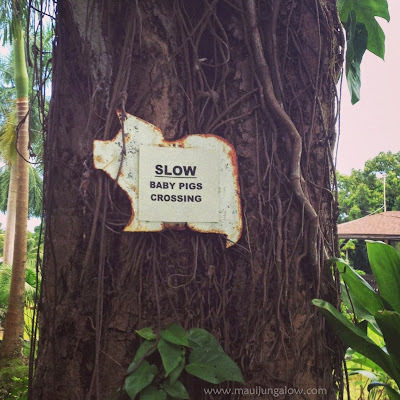 Why do East Maui residents slow down? Is it because of the potholes in the road, the muddy roads, or the non-roads that people have made by driving their 4-wheel-drive vehicles repeatedly over vines and cane grass? Or the one-lane bridges, after waiting for all the tourists? Is it because a trip into town – Kahului - requires extra careful planning? The up to 3 hour drive each way means forgetting one’s wallet, phone, shopping list, or ice for the coolers in the car for the monthly supply run to Costco just turned the whole day into a fiasco. Forgetting to buy something in town means paying premium prices nearby, or waiting till next week or next month. Is it because electric power is often limited, and one has to calculate how much power each appliance draws from the power supply generated by the off-the-grid solar installation and not run too many of them at once? Not to mention the issues with running water – for houses - and running streams - for agriculture. Is it because of the slow, intermittent, or non-existent internet? Email, Netflix and Google are sometimes luxury items. While there may be some “normal” houses in East Maui, meaning houses with a garage and manicured front lawn, connected to county water and electric power, a working septic system, located on a paved road with nearby fire hydrants, there are plenty of creative housing options “out in the boonies” of East Maui, which is like saying out in the boonies of the boonies. People who choose to live here seem to be of hardy pioneer stock or redneck mentality, terra-forming their property with muscles and machetes, building their “shack-teau” with building materials they scavenged. Other people are wealthy escapees, who live on their estate only a few weeks out of the year and have a year round caretaker. My idea of different regions of Maui along the Road to Hana, the North Shore, East Maui and the Back Side of Maui, some of which overlap. Other people may disagree. This is a vintage map from a clock in my house. It's easier to read without the hands. 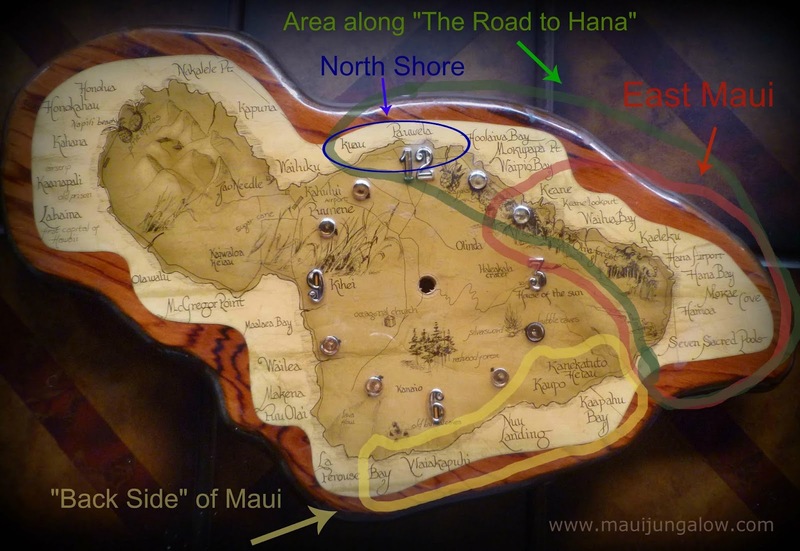 While the Road to Hana includes Paia, Haiku and Huelo, I would argue that those areas are located on the “North Shore” rather than East Maui. Somewhere past Huelo, the Road to Hana gets mighty curvy and the first (but not last) one-lane bridge appears. To me, living on the “Road to Hana” implies living on the curvy part of the road with all the one-lane bridges. Paia to Huelo are the “North Shore” unless you’re at a higher elevation, in which case you’d be Upcountry. 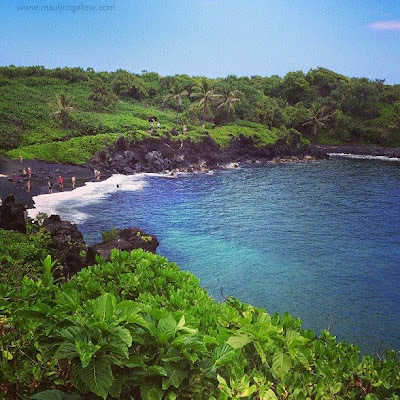 Keanae to Kipahulu would be East Maui, Hana or near Hana. I don’t know how off this is, so now I have to interview some friends, preferably those who live in East Maui, or think they do. 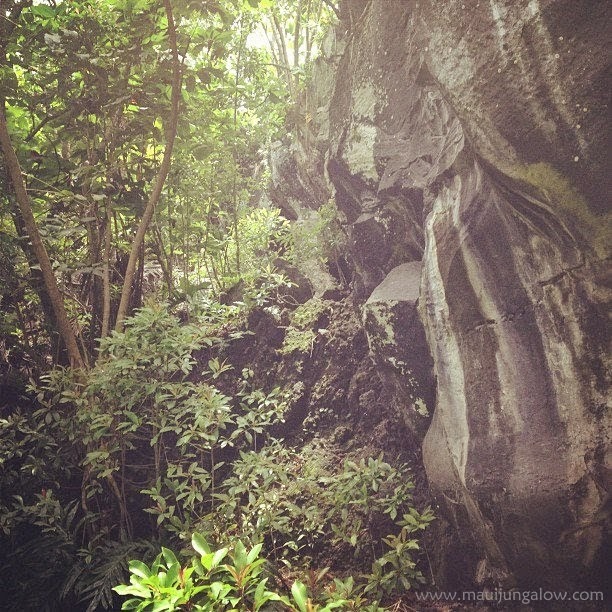 You may also like my posts on the Road to Hana.